Indian IT Services has benefited from a great run so far. In about three decades the industry has grown from few hundred million dollars to have about US$155 billion in revenue per year. 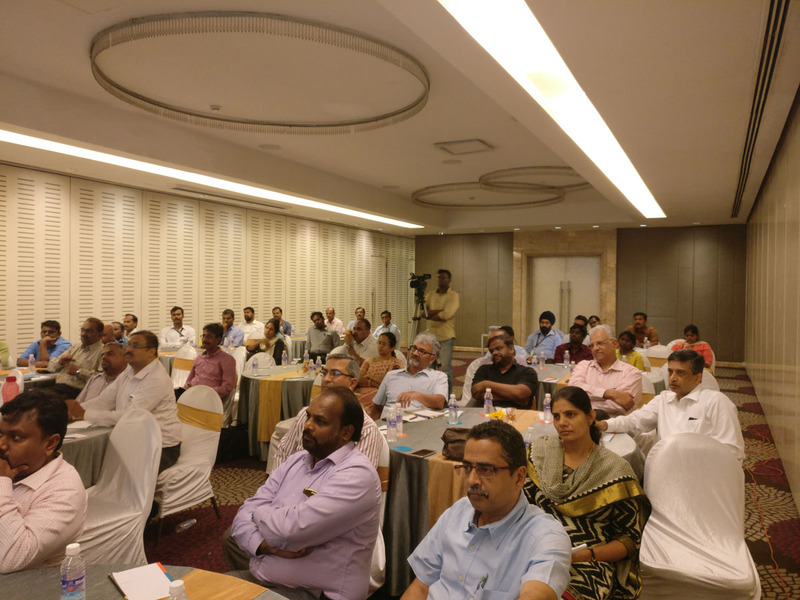 The industry had handled with aplomb earlier challenges thrown at it, in fact, it has used technical disruptions like the Internet, Y2K, Mobile that came to its advantage to grow. Today it confronts massive changes from many directions. The movement of enterprise application to the “Cloud” from enterprise datacenters, automation of routine tasks, and the maturity of enterprise software platform like ERP & CRM, all reducing the need for traditional ADM (Application Development Maintenance) services offered by IT Outsourcing firms in what the industry calls as T & M (Time and Material) model. In a T & M model of engagement, the IT outsourcing firm gets paid $X per hour for the N number of “quality” resources that it provides to the client across skillset and locations. Of course, in many deals, there are performance guarantees, service level penalties and delivery based milestone payments. Still, the majority of revenue involved is based on T & M calculations. Today the Indian IT Services alone employ millions of smart engineers with the top 5 firms having between 100,000 to 350,000 each. Each of them over the years has refined and mastered the process of identifying, hiring, training and managing people on an unprecedented scale. My fellow mates in the Industry may not like the way I am going to say it but it is true that Indian IT firms have become so efficient on people management that they can only be compared with the humungous Chinese factories and the millions employed there. However, the underlying fact is that these millions of people are writing software and the underlying technology they are expected to be working is changing at an unprecedented rate. Take for example the rise of Digital Transformation, Artificial Intelligence appearing in many spears of enterprise activity and the massive amount of data being collected from IoT devices, these require new software tools and practises to be followed. The Industry is sporting a bell curve bulging with Gen-X, who are in their mid-lives and unable to explore new ways and tools to approach problems. Firms are confronted with the task of unlearning and retraining exercise for their entire workforce, and they have to do this without any disruption to their current deliverables and cash flow – shareholders are in no mood to provide them with any slack in the interim. Compounding to this is the conservative nature of their governing boards, who have shied away from doing large acquisitions which could be transformative but inherently are risk prone. The above is well known and oft discussed in many industry forums. Even then I was shocked to read about “doomsday” scenario being discussed in media, like in Oct ’16 Mint newspaper wrote an obituary saying “Indian software dies at 17 from failure to grasp future” and Economic Times saying “Race to Reboot“. This got me researching on the subject. I spoke with my friends and associates in the Industry. Quickly it became apparent it is not that the industry leaders were not seeing the writing the wall, or they don’t know what to do, it was about how to get the necessary changes done. Even for an individual “change” is not easy. Change at organisations don’t happen overnight, they require careful planning, collective execution and nurturing. 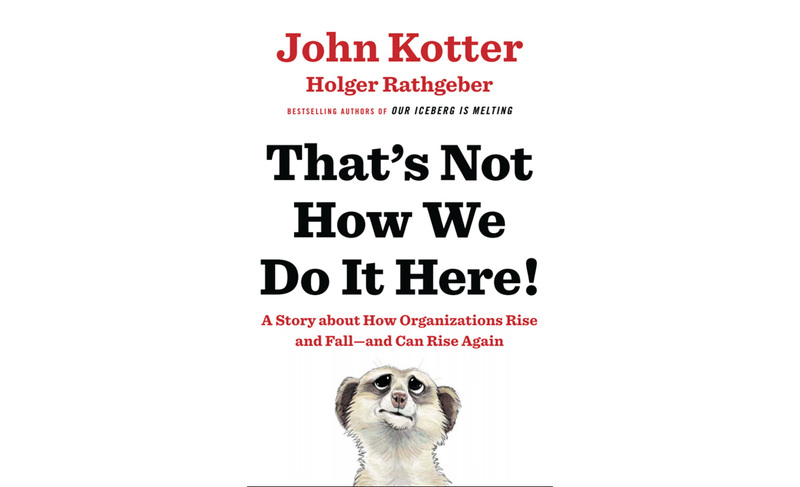 I started reading on the subject starting with John Kotter, the authority on Change Management. 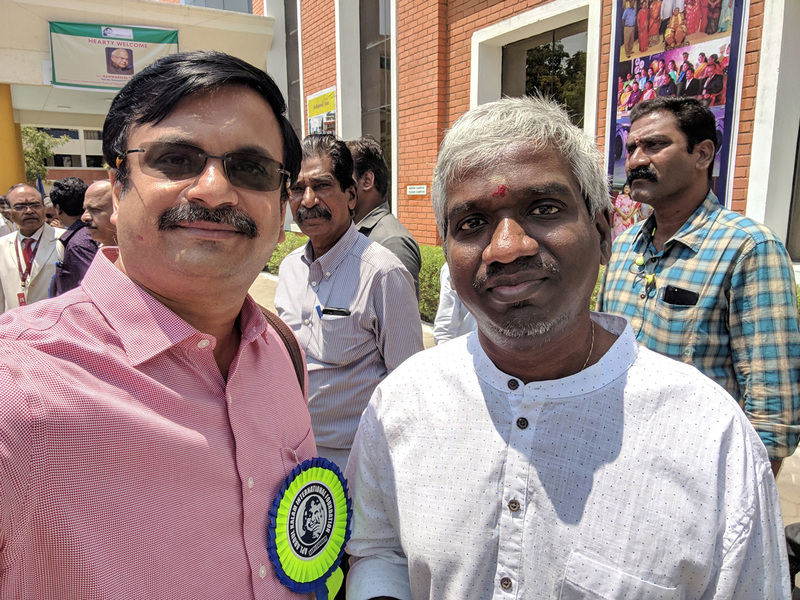 I began to collaborate with management consultant and author Sankaranarayanan. After few months of working, we were ready to talk about what we found so far. 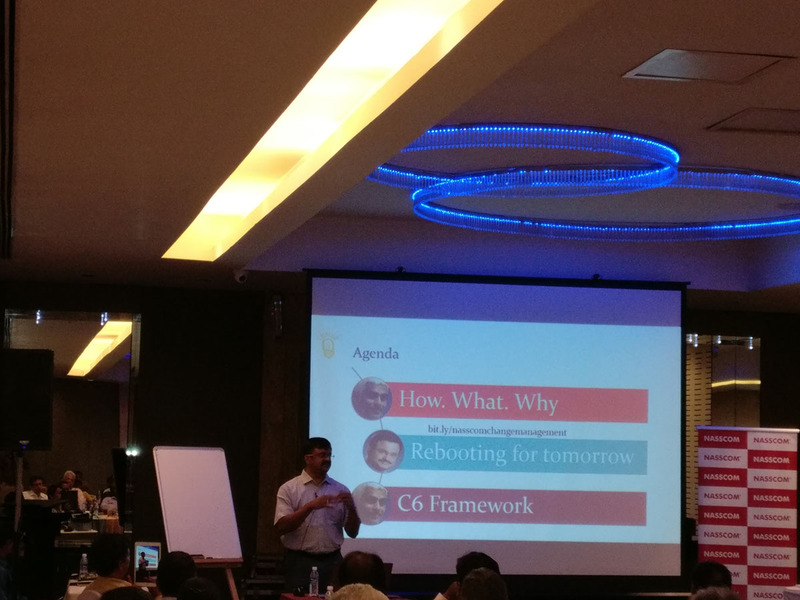 That’s how we came to conducting the workshop today for Nasscom Chennai’s Product forum, titled “Change Management: Rebooting Software Industry for Tomorrow”. 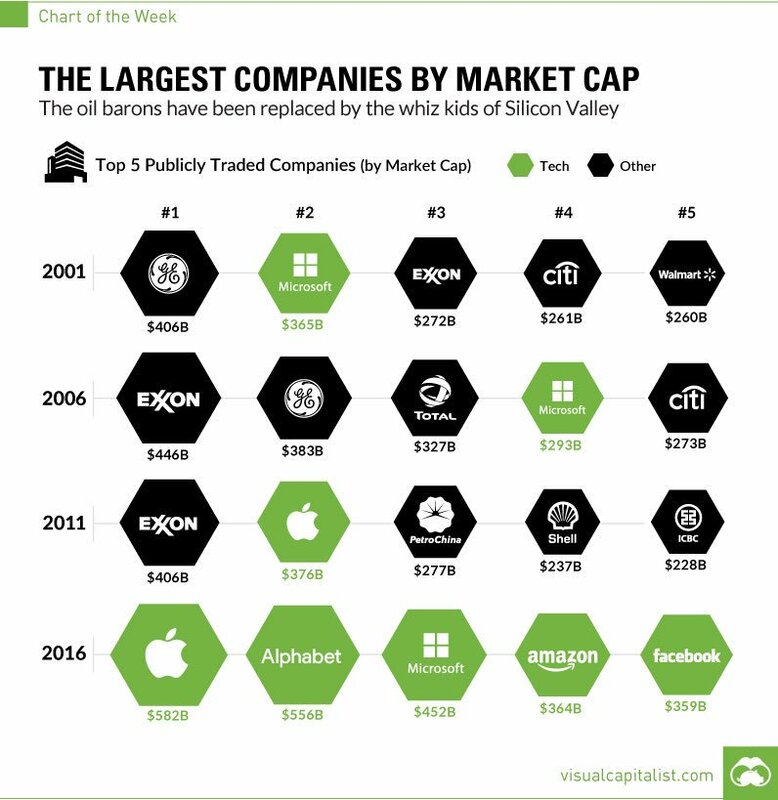 The world’s top five companies in terms of market cap are all “software” companies – Apple, Alphabet, Microsoft, Amazon & Facebook. 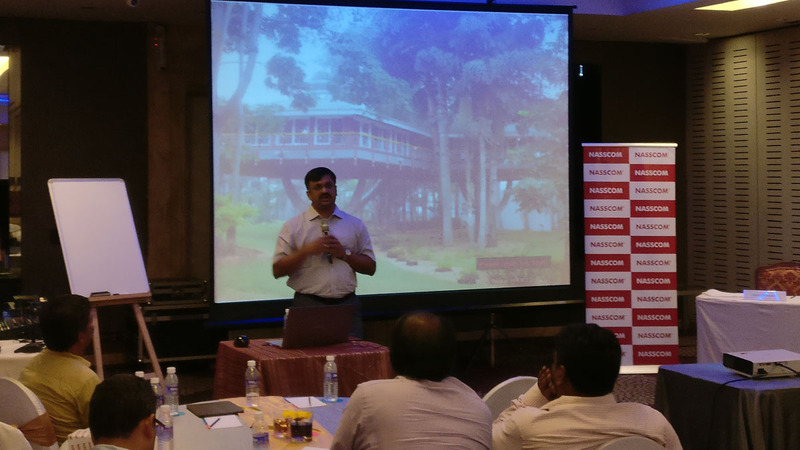 Following my introduction, Sankaranarayanan presented case studies from across industries to explain how, when and what to change. 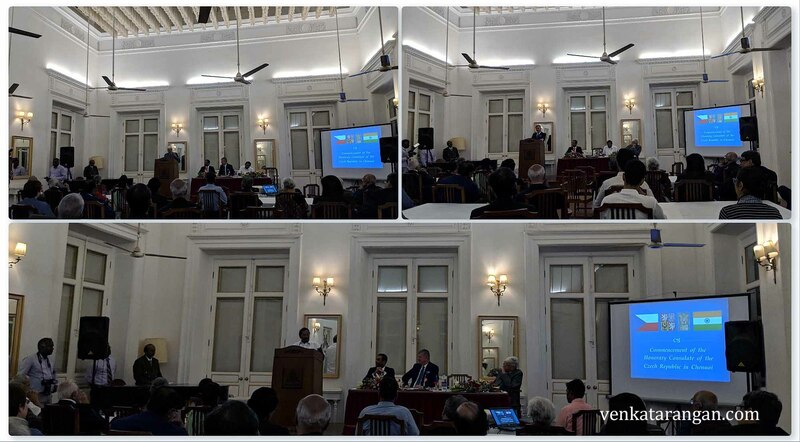 He talked about how Samsung underwent their massive reinvention couple of decades back, Thenhipalam Co-operative Rural Bank Limited in Kerala became the first co-operative bank in India to launch a digital currency app and on the legacy story of Who Says Elephants Can’t Dance? by Louis V. Gerstner, Jr., the (then) chairman and CEO of IBM. 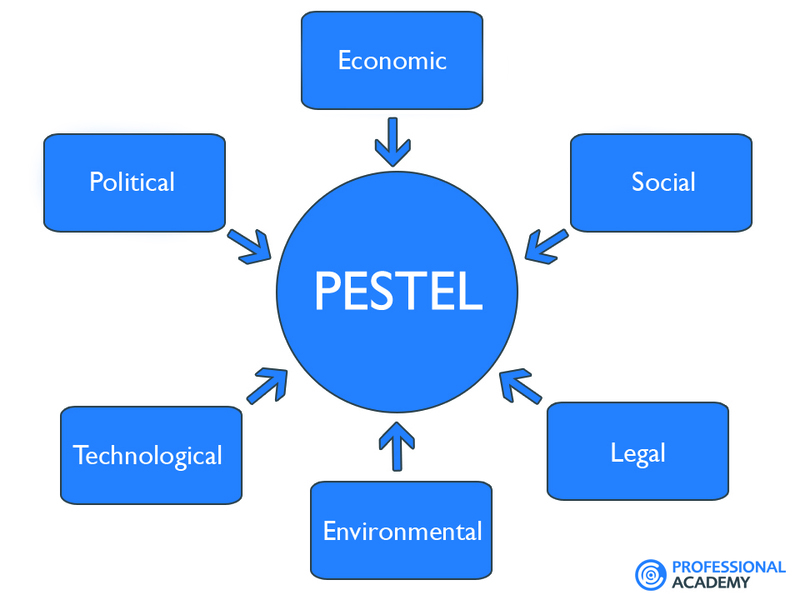 Sankar introduced and explained to participants the use of a framework like Shell’s PESTEL to model the risks surrounding your business. With growing protectionism around the world, the Political and Economic risks become more important to the Indian IT industry. 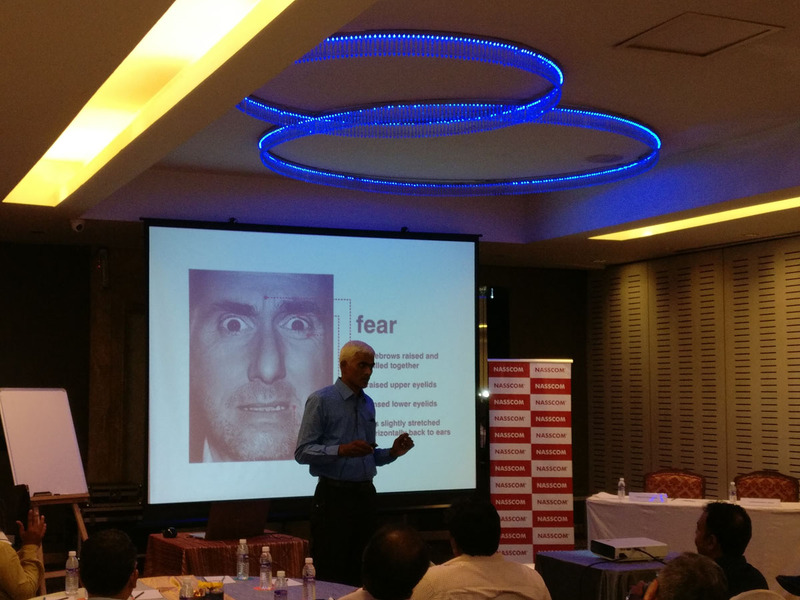 Having provided the participants with general information on change management, we switched to high gear. I dived down into ways I thought the Industry could reinvent itself, the points discussed were meant to be initiate thinking rather than being prescriptive. 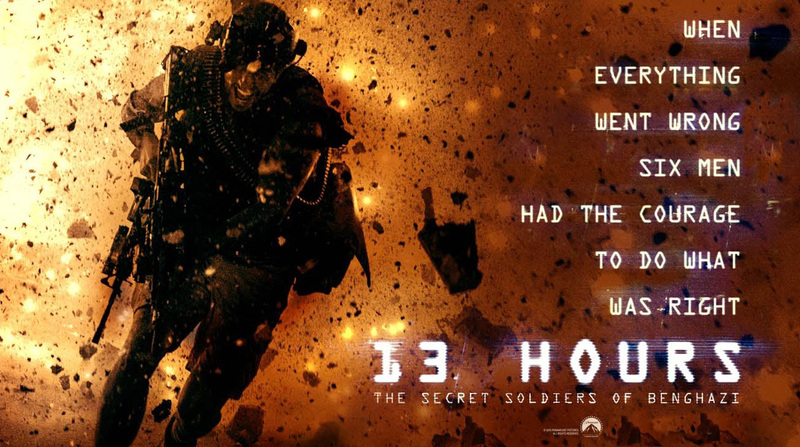 Rebooting for tomorrow – Revisit. Reinvent. Redefine. The reinvention can happen at all spheres of an organisation – Business Model, Engineering Practices and the Products & Services offered. It has to be a combination of all three. Explore new business opportunities like in offering solutions around open source instead of proprietary solutions wherever possible. To do this, outsourcing firms have to do cultural retrain on using open source and encouraging their engineers to spend time in understanding and contributing to GitHub like Open Source ecosystems. This is NOT just about using WordPress or Linux or AngularJS in projects, it goes beyond that, does the firm have the expertise to offer mission-critical reliability on a database system using MySQL. Taking one example of a disruptive technology – cloud. Look at the numbers. AWS posted $12.2 billion in sales for 2016 and more than $3 billion in profit, contributing 3/4th of profits of Amazon overall. From 2015-2020, public cloud spending will be growing by 21.5% (CAGR). 60% of the spends will be going to Software as a Service (SaaS). So how much of Indian IT firms services can be offered as self-service SaaS model which grow independent of employee growth? Even before adopting “agile” practises that are in fashion now, firms have to identify the ‘layer’ in the value chain they belong to with respect to their customer offerings. Out of the following where your offerings? Of course, today the boundaries between a service and a product is not so well-defined. Nevertheless, you need to have a broad clarity especially to determine your pricing strategy. Cultivate your company’s technology expertise so that you can offer a service of being the “Innovation Arm” to your clients. That’s how you can get to do the coveted Digital Transformation. First is to identify who is your customer. It is not straightforward with today’s technology. Take the example of a Mobile App you are developing for a client, your client CIO pays you, but the app is used by thousands of consumers. Who is your customer here?. It can’t be the CIO alone, you need to consider the end users of the app too as your customer. If unsatisfied they have the power to post a comment in iTunes Appstore or Google Play, then you can be sure your client is not going to come back to you for enhancements. We need to help the CIO to succeed. Earlier the users for a CIO was just internal employees, today the users could potentially be the whole world. Think about why IT firms are allowing Shadow IT in our client organisations. The rise of running software not approved by IT is the fault of everyone working in IT. We are not helping our users to do their job in a friction-free manner. How can we work with CIOs to develop more self-service solutions for departments and be agile when it comes to building new apps. 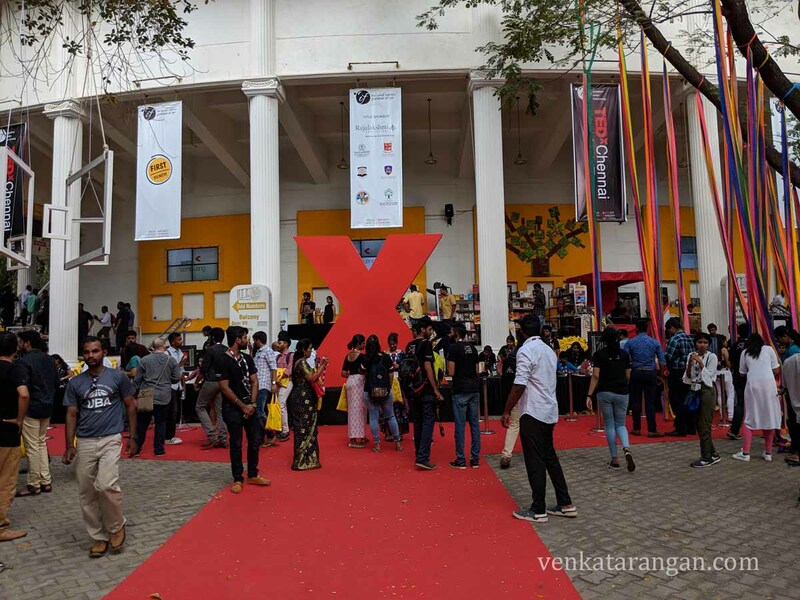 Learning from the huge success Apple and Google have got by courting Developers (which itself was not new, Microsoft was doing it well in the 1990s), it is important that Indian IT firms start a community reach out to developers around the world. In most of the “future” contracts, I see developers playing an important role in advising CIO in the selection of vendor partners. Offer new pricing models beyond T & M, Projects and Apps. Consider “Free” as a model too, you can earn from Advertisements, Monetising Data consumer collected (obviously not an option for enterprise data), Customisations on top of Open Source releases. Freemium is a model that has been put to good use even by Indian “product” firms like Zoho & FreshDesk. Pay as you go or the utility billing models are most apt when you can offer Microservices. Reinvent your development and delivery practices. I believe the challenge here for Indian IT firms is more sociological than technological. 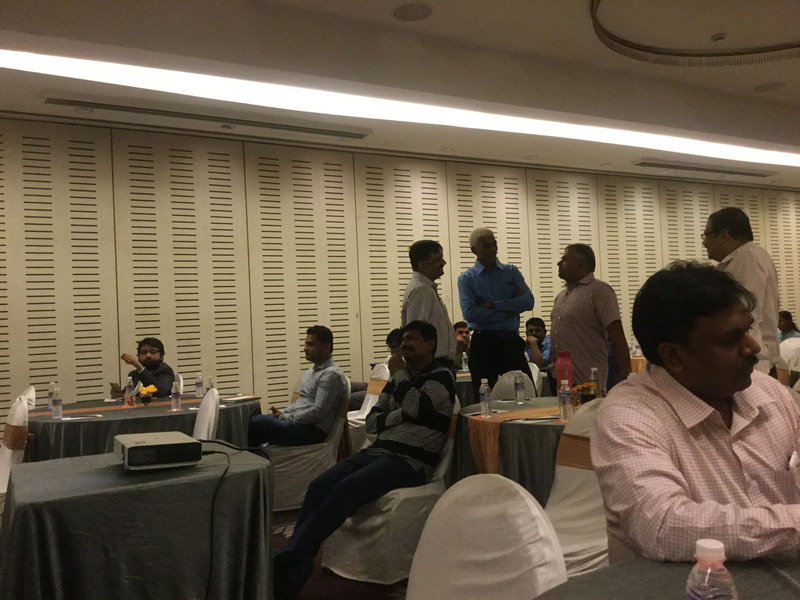 The industry has proven with Y2K, Web, Mobile & Social that it can get its engineers to learn new technologies and quickly ramp up. For what’s happening now, the Industry has to look at hiring more but the new hires will be more lateral than entry level. For that as Mahesh Murthy said the industry has to get its HR to move away from the existing recruitment practices from being a filtering system to be a talent spotting. Existing policies of people management have to be changed too, for example, the emphasis on time tracking needs to go down. People under time pressure don’t think faster. The Industry now needs more of thought leaders and not operational leads. Indian IT Industry is in the business of developing software, I will urge every Manager in an organisation to be hands-on with a programming language. As for me, I have started a language programming language (Python) which I didn’t know earlier. The idea is not to have everyone developing code, but to be able to understand and value-add to developers when called for. 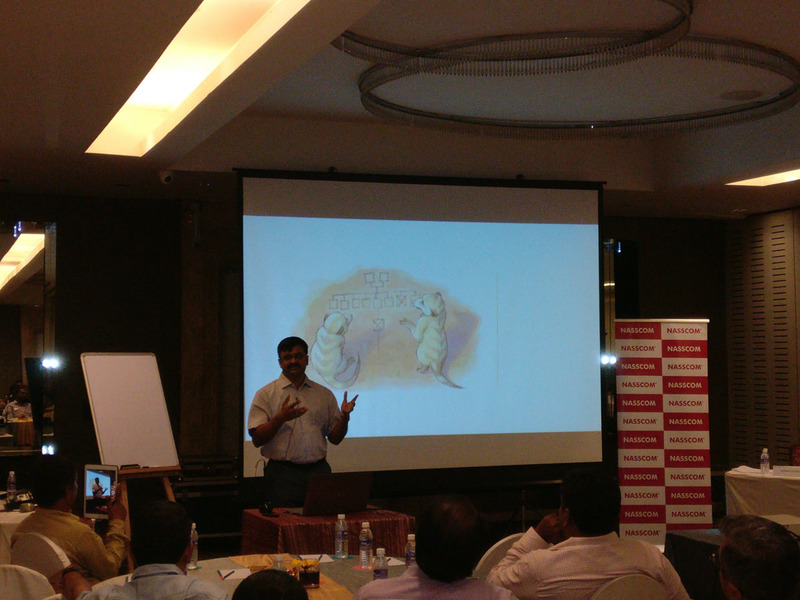 Spend for continuous learning for everyone in an organisation. Today brilliant materials are available easily (many for free) in places in Apple iTunesU, YouTube, Coursera, Udacity and Codeschool. Modify your work culture to benefit from hiring “best” developers irrespective of the location they live as what Automattic (the company that runs wordpress.com) does. Invest in modern collaboration tools beyond email like Slack, Microsoft Teams, Atlassian Jira or their open source equivalents. Train your engineers in DevOps practices (a free course is there in Udacity to learn it), remember not every project can benefit from DevOps style, still, exposure to the tools used by DevOps practitioners could help to increase your release cadence. 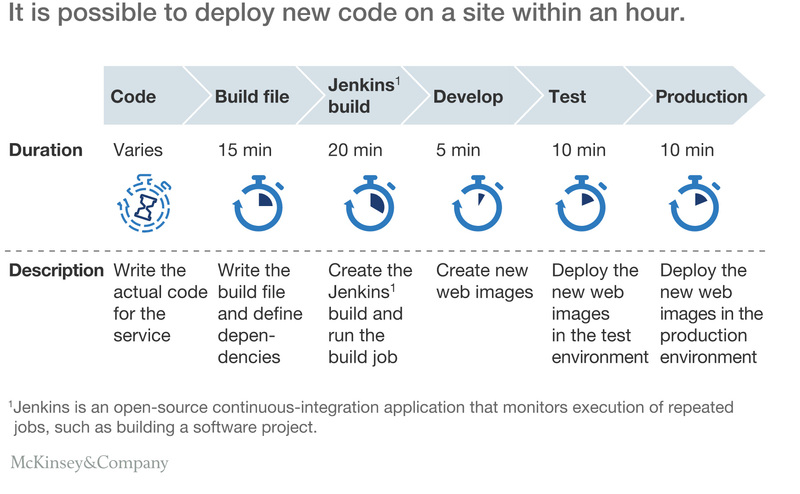 Get your teams to learn automated deployment tools like Jenkins (see below) or if you are using Microsoft technologies then Octopus and the Continuous Integration with Visual Studio. Do the obvious things, have teams experiment and learn few (not all) of the newer technologies like MEAN stack, NET Core, Express Framework, Google Go, R Language, Cognitive Services (Microsoft CNTK), Machine Learning (Amazon, Microsoft, Google), Bot Frameworks from Microsoft of Facebook. We covered some of it in earlier sections. The lines between a product and a service are fast disappearing. Adapt to that world. Whatever is your solution it has to be a “Business enabler”. Today consumers have software that are years ahead of what is being used inside enterprises. For example, Google Now or Cortana in my phone can automatically tell me even without asking time to reach my office in the mornings and time to reach home in the evenings. How many of the apps we use inside enterprise can be even personalised for an individual user or role. Read this quote from Maria Giudice (VP for experience design at Autodesk) where she says on the need to “create business products that produce emotional connections“. 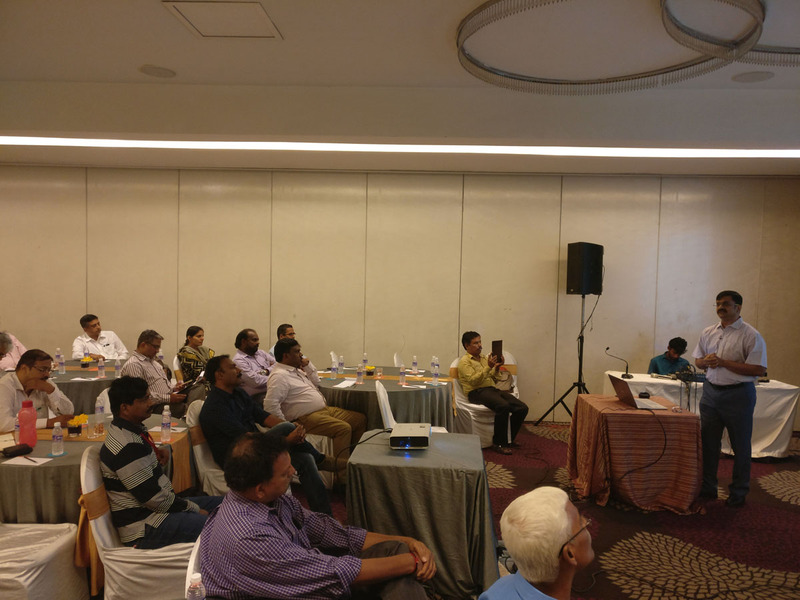 In the closing session, Sankaranarayanan presented the participants with an important tool that will help the participants with change management. 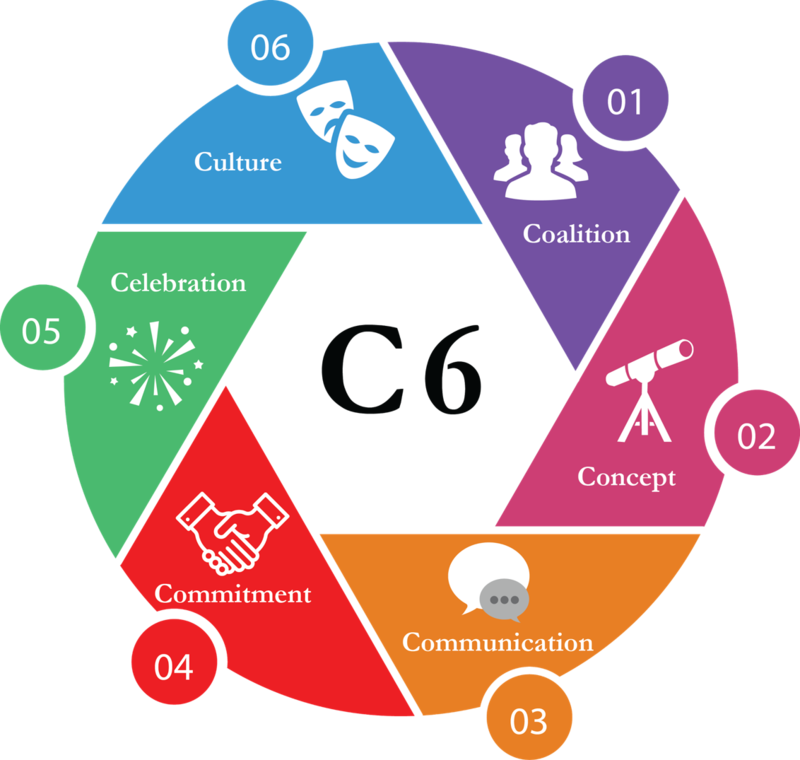 It is called “C6” framework that Sankar had developed. remember Culture eats strategy for breakfast (Peter Drucker). Read about how Alcoa, an aluminium manufacturing giant succeeded by focusing on safety.